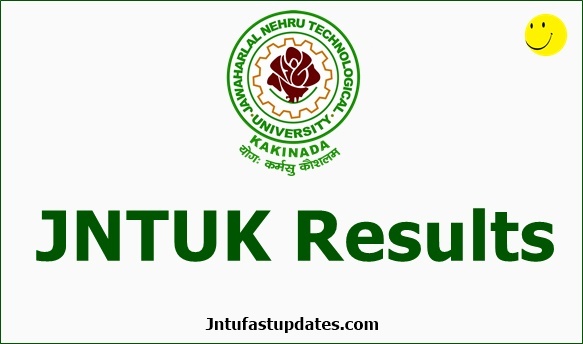 JNTUK Results 2019: Students can check their JNTU Kakinada B.Tech/M.Tech/MBA/MCA all years results at jntukresults.edu.in. JNTUK R16, R13, R10 regulations all years results are available at jntukresults.edu.in, schools9, manabadi, jntuk.edu.in. Jawaharlal Nehru Technological University Kakinada is also known as JNTUK. This is one of the largest universities of Andhra Pradesh. The university offers various technical and non-technical, management, and other courses for the students. It offers various undergraduate and postgraduate courses academically. The university follows the semester system in conducting the exams. The university annually releases the exams time table, and result dates in the academic calendar. Students who are studying under JNTUK can check the academic schedule details from the official website, jntuk.edu.in. JNTUK Latest Results: Jawaharlal Nehru Technological University Kakinada (JNTUK) is the most reputed university that offers technical, professional, and medical education for students. The JNTUK was certified under Grade ‘A’ by NAAC. The National Board of Accreditation (NBA) of AICTE is the National level authority that gives the certification for Universities depending upon their incredible service. Colleges those gets ‘A’ by NAAC are said to be top ranked. The JNTU Kakinada is situated in Andhra Pradesh, Kakinada. Many of the Government and Private colleges were affiliated to JNTUK. It offers the quality and promising education for its students. The JNTUK also conducts the state level competitive examinations like ICET, EAMCET and other examinations. Kakinada JNTU has set its own mark in the streak of education. Most of the colleges follow the JNTUK syllabus curriculum and exam patterns to bring the quality at their education level. JNTU kakinada Results jntukresults.edu.in: Jawaharlal Nehru Technological university Every Year Conducting the Regular and Supplementary Examinations for B.Tech/B.Pharmacy 1-1, 1-2, 2-1, 2-2, 3-1, 3-2, 4-1 and 4-2 Semesters. Many People Are Confusing to Find the JNTUK old Regular/Supply Results in Internet. So, For Students Easily Purpose we wrote this Article To download the Jntuk Results updates Fastly and Get the jntuk all Results at one place. Here we are providing the JNTUK Results for R16, R13 & R10 B.Tech Regular/Supply examinations. JNTUK FAST UPDATES Provides you JNTUK B.Tech/B.Pharmacy/MBA/MCA/M.TECH R16, R13 & R10 Regulations All years Results at one page. The Following Regulation results are provided at single page. Jntu Fast Updates Provides Exclusively For Users of Jntuk All Results of R16, R13 & R10 1-1 results, 1-2 r16 results, 2-1 r16 results, 2-2 R13 results, 3-1 R13 Results, 3-2 R13 Results, 4-1 r13 Results, 4-2 R13 results Regular/Supply of B.Tech & B.pharmacy of R16, R13, R10, R07, R05, RR. JNTUK is the public university that offers various UG and PG courses for the understudies. The university conducts the examinations in May-June months and November-December months. And releases the results within 1 month after the examinations. The result dates will be announced by the JNTUK soon after the examination completed. The regular and supplementary exams dates and result dates will be published by the university at the starting of the academic year. Students can check the academic calendar for more details. JNTUK even semester and odd semester results for B.Tech, M.Tech, MBA, MCA, and other courses will be released in announced dates. Students pursuing various courses can keep checking the JNTUK website for updates regarding the results. Or students can check JNTUK Result dates and other important updates from this website. Soon after the university makes an announcement, here we flash the information for the reference of students. JNTUK Result Archives for B.Tech, B.Pharmacy, M.Tech, MBA, MCA, and other courses can be downloaded from here. JNTU kakinda R13 Results, JNTUK R10 Results, JNTUK B.tech R16, R13 & R10 all years results links Schools9.com, Manabadi.com, jntuk.edu, jntukresults.edu.in. Friends Check their all years results at single page and share this info With your friends also. We Are Providing JNTUK All Years Results Links At one Page jntukresults.edu.in. Because Many Students are trouble to fine their results from 1st year to 4th year. So that we are Providing all semester results links at single page. This is very useful for all Students. JNTU fast updates Provides fast and genuine information about all jntu Universites. Jntuk results portal provided all regulation results links at single page. Save this website in your bookmarks, any info regarding results we are providing as possible as earlier. So save this (jntuk results portal) web site in your bookmarks press CTRL+D. Jawaharlal Nehru Technological University, Kakinada (JNTU Kakinada) is a public university, located at Pithapuram Road in Kakinada, of the East Godavari district , north of the Indian state of Andhra Pradesh. It is one of India’s leading educational universities focusing on engineering. In 2008, the Jawaharlal Nehru Technological Universities Act, 2008 split the university into four universities, Jawaharlal Nehru Architecture and Fine Arts University, Jawaharlal Nehru Technological University, Anantapur, Jawaharlal Nehru Technological University, Hyderabad and Jawaharlal Nehru Technological University, Kakinada. Due to this act, University College of Engineering, Kakinada and University College of Engineering, Vizianagaram has been established as a constituent colleges of JNTU, Kakinada in 2008. The Jawaharlal Nehru Technological University Kakinada (JNTUK) was established in the year of 1946. JNTUK is spread across 110 acres of land. It is one of the biggest universities of Andhra Pradesh. More than 2000 colleges were affiliated to Kakinada JNTU. Every year the student rate is notably increasing in JNTU Kakinada. The JNTUK offers various facilities like Games, library, laboratories and other facilities. It offers various Degree, PG courses for students. B.Tech, B.Pharmacy, MBA, MBA, M.Tech, M. Pharmacy, MCA, MBA, BBA, Pharma D and other courses were offered by JNTUK. The JNTUK is having 3 main campuses in Kakinada, Vijayanagaram and Narasaraopet. JNTU Kakinada offers education in semester system. Every academic year has 2 semesters. One semester examinations will be held in February/ March months while the 2nd semester examinations will be held in November/ December months. Students will have the regular classes and practices in their study curriculum. Candidates who are presently pursuing in JNTUK can check the latest updates regarding the time tables and results from the official website, jntuk.edu.in. Students can get the time to time updates regarding the JNTUK results from the JNTUK Results website, jntukresults.edu.in. Usually the results will be released after a month of examinations. Students can keep checking the website on regular basis to know the updates. Results for all courses such as B.Tech, B.Pharmacy, MBA, MBA, M.Tech, M. Pharmacy, MCA, MBA, BBA, Pharma D and other courses will be available to download at the same website. By entering their registration number and password at the prescribed columns candidates will be able to download the results. Students can download the results through SMS / Email by registering with the website. Students can result, marks, and grade from the JNTUK Official website/ result website. By subscribing to the website JNTUK students can get alerts regarding the exam dates, results to their mobile phones. The result downloading access to the mobiles will be given at result announcement time. By sending their register number to the given SMS number students can get their results to their mobiles.